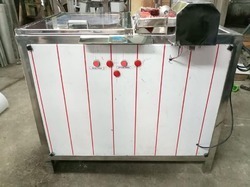 We are a reputed business organization engaged in manufacturing, supplying and exporting a comprehensive assortment of Jar Washing Machine. Developed under the vigil of experts following the international quality standards, the range is featured with a tail cutting arrangement for improved efficiency. Assembled together using high-grade components imparting the capacity to fill lotions, banns, and pastes. 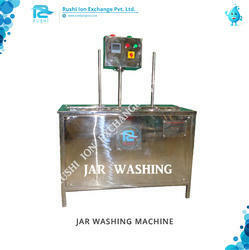 Looking for “Jar Washing Machine”?